Since the beginning of the season, we’ve been lucky to have natural snow precipitation on a regular basis. 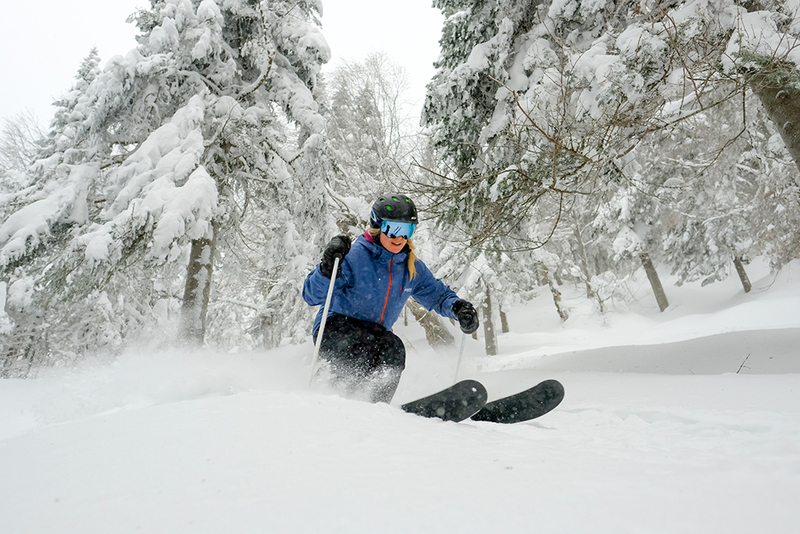 With a few centimeters of accumulation per week, the trails are now covered with a deep snow base offering a top-notch skiing and snowboarding experience. 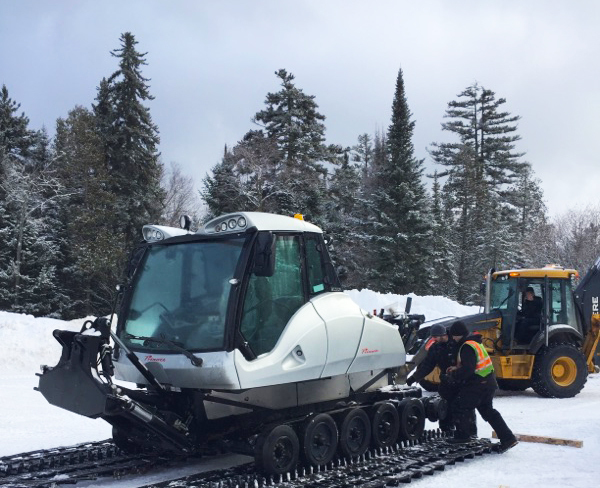 The purchase of two new groomers, combined with the unparalleled experience of our mountain operations team, has allowed us to groom more tracks than usual. Some of which we don’t get the opportunity to groom every year. To add to the already beautiful existing conditions, Mother Nature left us a small gift on Tuesday night. Almost 28cm of fresh snow fell in the last 24h! Some areas are less sheltered from wind than others, which will influence the accumulation on the ground. Also, it should be noted that there was a touch of ice rain which created a thin crust on the surface. Nevertheless, once that layer is cut, you’ll find about fifteen centimeters of powder is underneath! The conditions will therefore be optimal after the first skiers go through the trails. The glades, protected from the wind by the trees, are already in good condition. Tomorrow, we’ll have the chance to ski magnificent groomed trails in the sunshine! Come and enjoy fresh snow at a refreshing price. Erik Guay, 3rd podium in 2 weeks!